Taken from the Hebrew word for “to life,” L’Chaim paints the story of human experience: Rich in color, raw in texture, enigmatically fascinating, surprisingly humorous. Appearing fractured, but at a second glance, found complete. 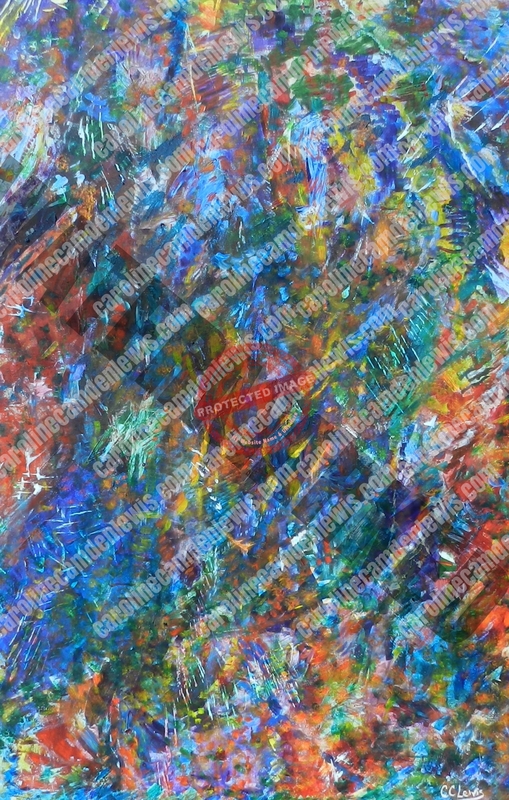 It paints an epic journey through strokes of sorrow, brushwork of joy and colors of changing seasons. Amdist fire, rain , drought, famine, plenty and abundance, L’Chaim dances through the symphony of life with emotion and movement blending into harmony. To Life! This is beautiful, Caroline! Is everthing in the gallery a painting? are there fabrics made from paintings? How does it work?! Love seeing you! Thanks so much Marjorie! Everything in the gallery is a painting, but can be made into a fabric. The pillows in the shop https://www.carolinecamdenlewis.com/shop are a cotton/linen blend, that are prints of the original painting 🙂 Love seeing you too!